American light designer A.J. 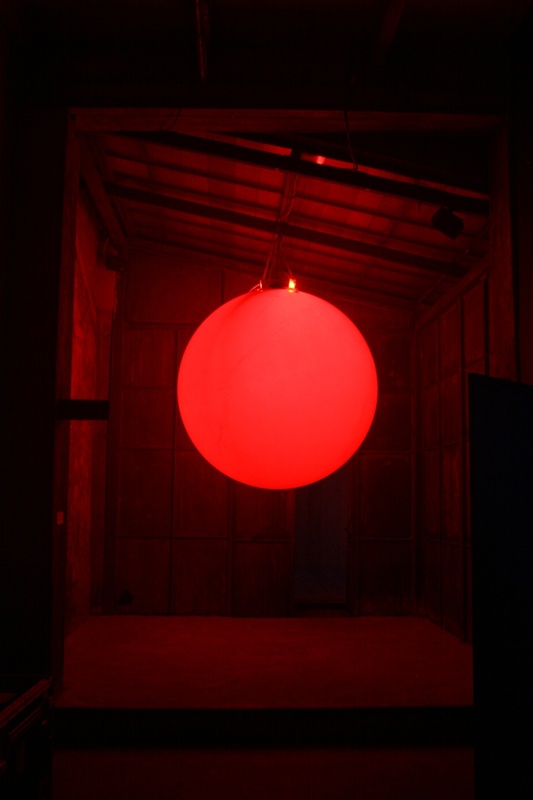 Weissbard speaks about the dialogue between light, "magic intangible matter", and individuals. 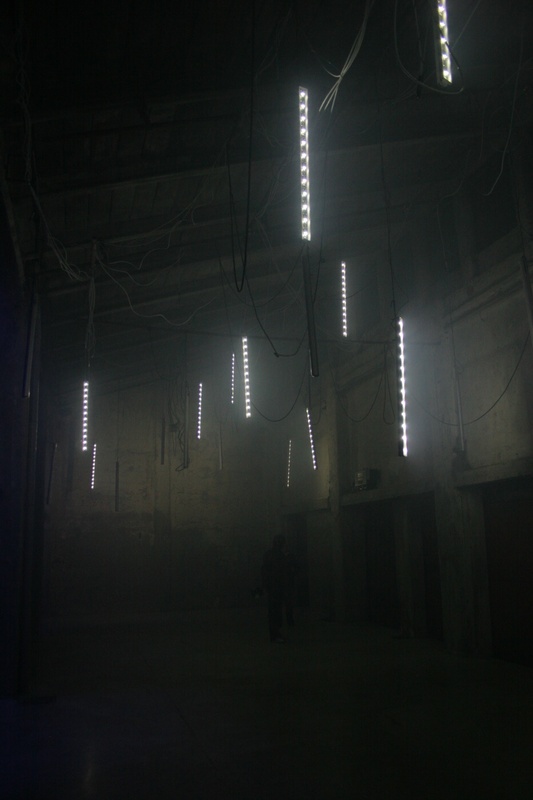 The project for Segheria was a difficult task: a light installation for 900 sq.m. of empty space with a very strong character. Filled with contrasting shapes and blades of light and darkness created by the trees, A.J. left as much empty space as possible because this is how he likes it: it's more beautiful, more daring. Then there's the grotto, the dark, damp water's playroom, protected by earth, the feminine element's earthy scent that allows contact with the upper world through the muffled noise from the road, the sawmill, a barking dog, the gravel under people's shoes, always the people, far away, muted yet present, essential. All under a sort of celestial canopy, a ionosphere of monochrome light with its incessant intensity variations. Five areas, just like the face's openings through which light is drawn in: eyes, nostrils, mouth. Ears come into play only inside the grotto. The last stop is an Italian garden, the path ends in the colors, the smile, and, naturally, it should also be sunny. This ever-changing garden, which can be toured for half a day and half a night, shifts, lives, breathes: every room has its life, a different sequence.